Date Masamune (伊達 政宗) is a regional lord in Japan’s Sengoku period. He’s named the one-eyed dragon because of his missing right eye. 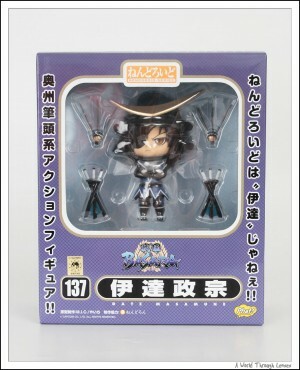 In this case, however, I’m refering to the character from Capcom game Sengoku Basara series as well as the anime series Sengoku Basara which was aired in 2009 with a second season Sengoku Basara 2 aired in 2010. 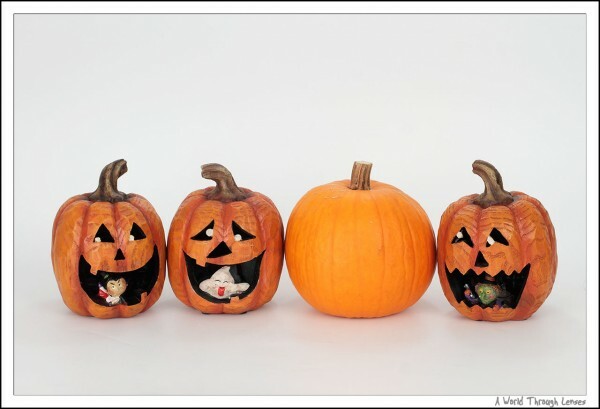 I wasn’t too happy with the figure when I saw the decoration master, even less so when I see it is made by Phay! instead of Good Smile Company. 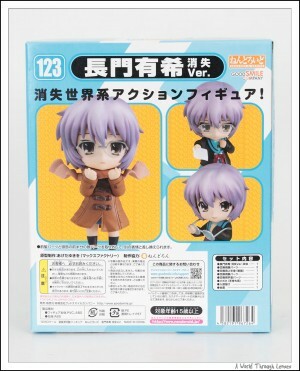 But since my girlfriend likes this character, I ordered it anyway. 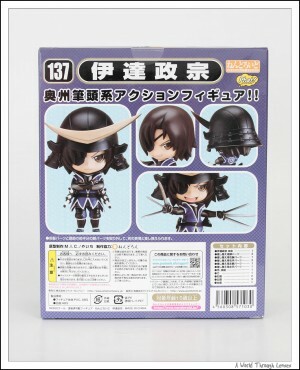 Nendoroid Date Masamune by Good Smile Company. (ねんどろいど 伊達政宗). Original sculptor M.I.C., Yaichi (やいち). Released on April 2011 with MSRP of ¥3,500. 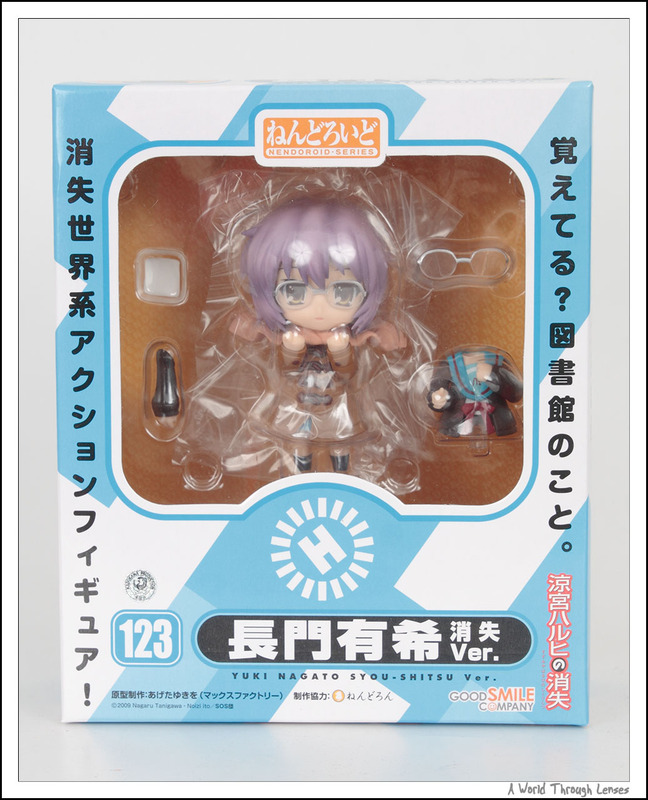 Here’s the typical nendoroid box. Sengoku Basara’s logo is printed in the middle. Also shows the 6 drawn swords and the 6 sheathed sword in the clear window. You might have guesses that this nendoroid comes with a LOT of swords. 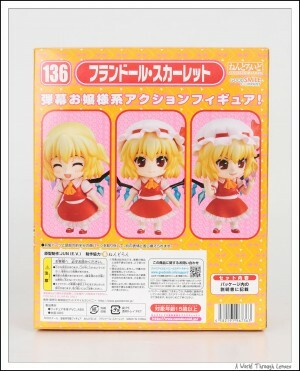 After the release of Nendoroid Remilia Scarlet, Remilia’s little sister Flandre also got her nendoroid release. And since they are sisters, and that I’ve got Remilia already, I will just have to get Flandre as well to complete the pair. Just like Nendoroid Remilia Scarlet, it was only available from four different shops Niconico Chokuhan, Animate, Gamers, and Tora No Ana. 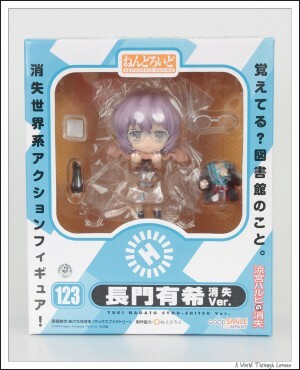 And just like Remilia, I ordered from Animate and got it forwarded to me by Tenso. Now I’ve got two Scarlets with twice the vampire power! 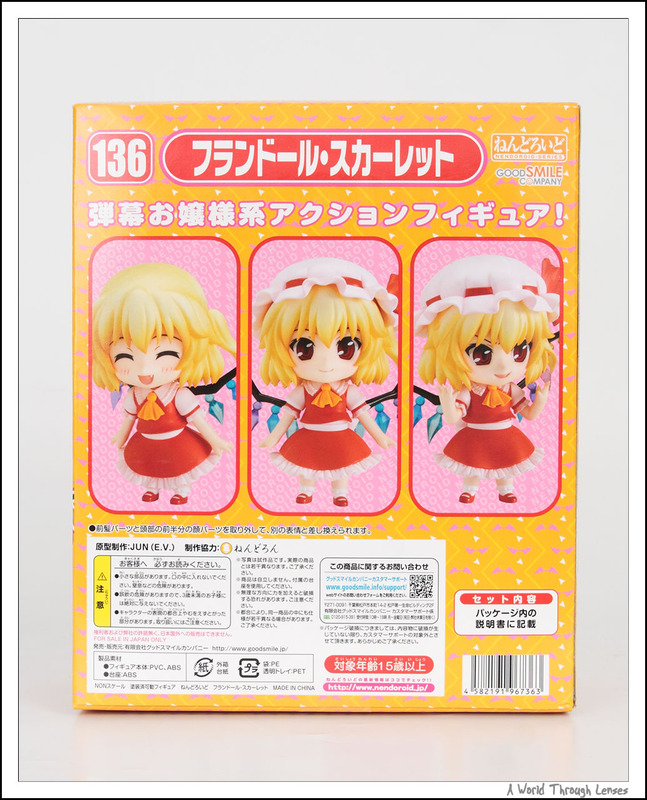 Nendoroid Flandre Scarlet by Good Smile Company. (ねんどろいど フランドール・スカーレット). Original sculptor JUN (E.V.). 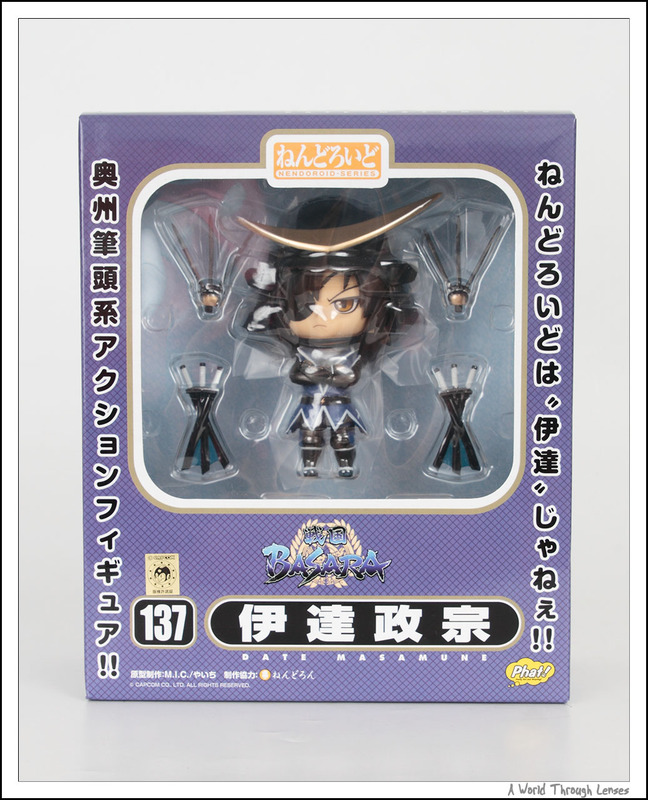 Released on January 2011 with MSRP of ¥3,000. Volks’ new Dollfie Dream body is named Dollfie Dream Sister (DDS) and it’s 50cm in height compared to Dollfie Dream Base Body II’s height of 60cm. The first two dolls release in this body is Touhou Project’s (東方Project) Hakurei Reimu (博麗霊夢) and Kirisame Marisa (霧雨魔理沙). I’ve been sportting Marisa’s DDS banner on my blog for some time now and of course I had Marisa ordered last year. The order for the Touhou DDs started on September 19, 2010 all the way to October 24, 2010. The doll is only being produced based on the orders placed. The price for the doll is ¥58,800. There’s also a short wig for Marisa at ¥5,040 and a Touhou Accessories Set at ¥4,725 available to be ordered during the ordering period. 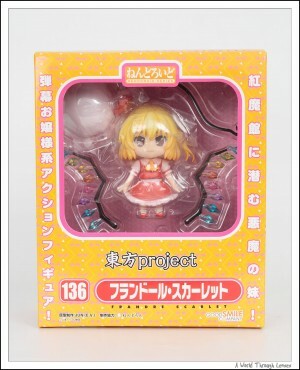 The Touhou dolls started shipping on February 25, 2011 and mine is among the first batches being shipped out. And after a week worth of waiting for the package to be delivered in Japan and then forwarded from Japan to North America, I finally got my first Dollfie Dream Sister doll. 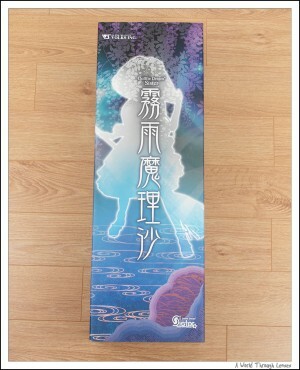 So here it is, my quick unboxing of Touhou Project Dollfie Dream Sister Kirisame Marisa. Here’s what the box look like. Apparently the pair of ribbons that secures the doll to the cardboard carrier are both broken presumably during transport. But the doll is pretty tough. I don’t see any significant damage, so all is well.